Welcome to my investment blog where I share with you my analysis of REITs in Singapore. I hope that my investment philosophy will bring me a steady stream of income apart from my job. I am aiming for at least $3,000 per month which can sustain the current expenses of myself and my family. Do enjoy reading my blog and post any comments that you have. I welcome them because it is a time to learn from each other. When I am looking at investing in REIT, here are some of the guidelines that I am looking at. Feel free to comment on it. I am willing to listen to ideas. -> at least 8% yield. -> Price that is lower than its NAV. Current Dividend income is $3,800/month. I have made some changes to my portfolio due to some adjustments to my life. 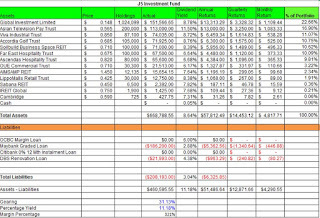 Recently I bought a new car (and sold off my old one) so I have pulled out $24,000 from my investments to pay the first 30% of the car. I took a car loan for the rest in view that this money can be invested for better returns. Moreover, here is one movement that I have made. While on vacation with my family, I bought APTT on the day of XD at $0.525 (50,000 shares) and $0.53 (50,000 shares) in view to use their dividends to pay off the interests of the car loan and the equity loan that I am taking to pay for my car. With this purchase, I currently has 200,000 shares which are currently valued at $113,000, providing me with $13,000 worth of dividends every year. With all these changes, here is my current portfolio. 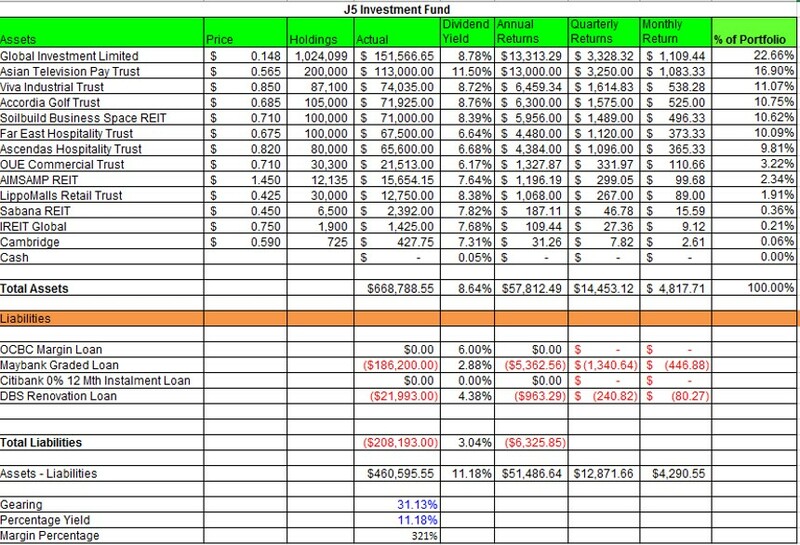 Therefore, this portfolio is providing me with $4,290 of passive income every month on average which can be used to pay my housing loan, my car loan with some to spare. I wish to kick-off and start investing in REITS. However, I am totally new in this and hope to seek some advice from you. Are there any recommended reading materials that are useful for newbies like me? Appreciate, if you can guide me on what should be done before investing. Thank You very much J! 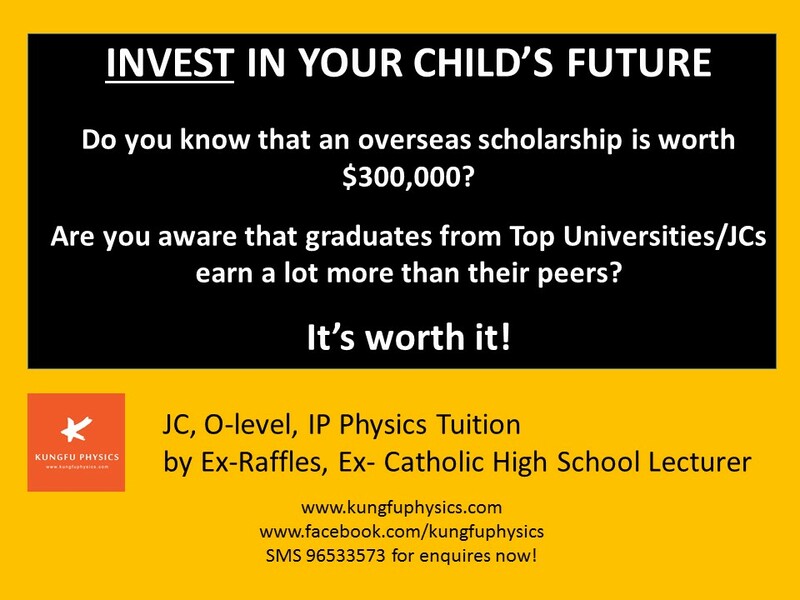 Copyright (c) jc.education.sg@gmail.com. Powered by Blogger.